The Edgeworth-Kuiper Belt is a collection of small celestial bodies located beyond Neptune's orbit. The most famous Edgeworth-Kuiper Belt Object is Pluto. Edgeworth-Kuiper Belt Objects are believed to be remnants left over from the formation of the solar system. 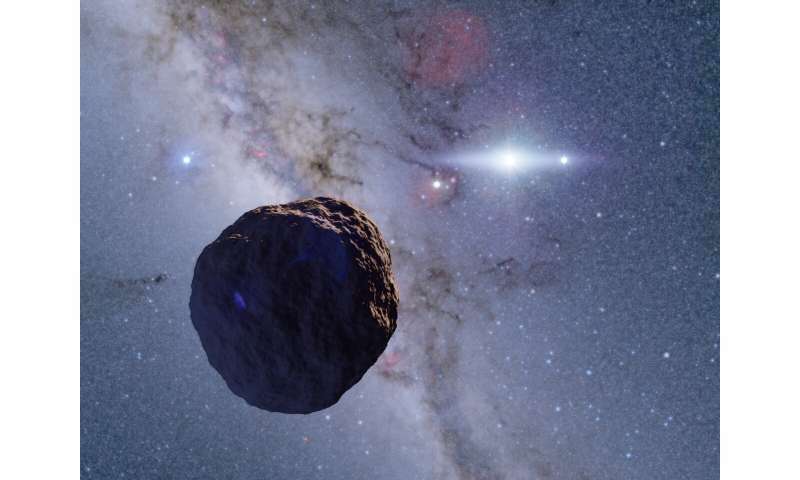 While small bodies like asteroids in the inner solar system have been altered by solar radiation, collisions, and the gravity of the planets over time; objects in the cold, dark, lonely Edgeworth-Kuiper Belt preserve the pristine conditions of the early solar system. Thus astronomers study them to learn about the beginning of the planet formation process. Arimatsu explains, "This is a real victory for little projects. Our team had less than 0.3 percent of the budget of large international projects. We didn't even have enough money to build a second dome to protect our second telescope! Yet we still managed to make a discovery that is impossible for the big projects. Now that we know our system works, we will investigate the Edgeworth-Kuiper Belt in more detail. We also have our sights set on the still undiscovered Oort Cloud out beyond that."